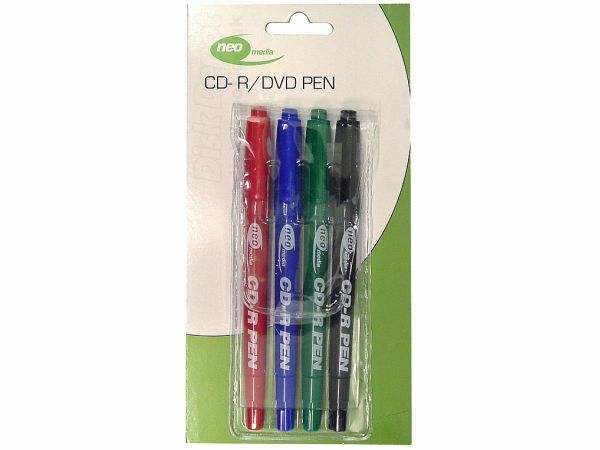 Great value pack of four disc pens, suitable for writing on CD, DVD and Blu-Ray (including CD-R, DVD-R and BD-R). Comes with black, green, red and blue pens. 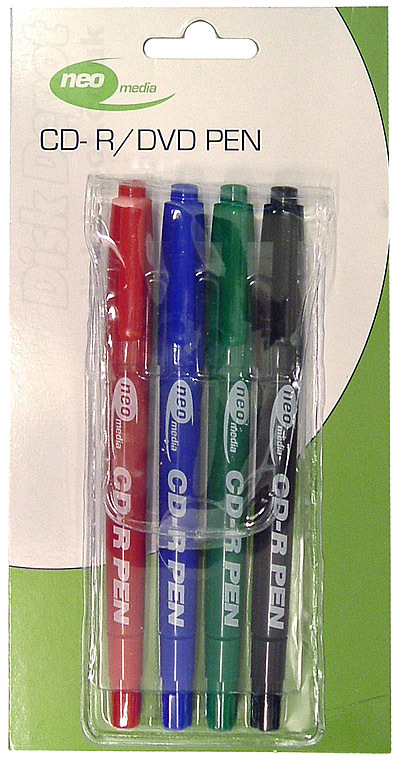 These pens are soft tipped and do not include solvents that can damage the surface of your discs, so they're perfect for use with your CDR, CDRW, DVDR, DVDRW and BDR media, as well as other things. Did you know that using pens not designed for disc use can damage your media? See here for more details.